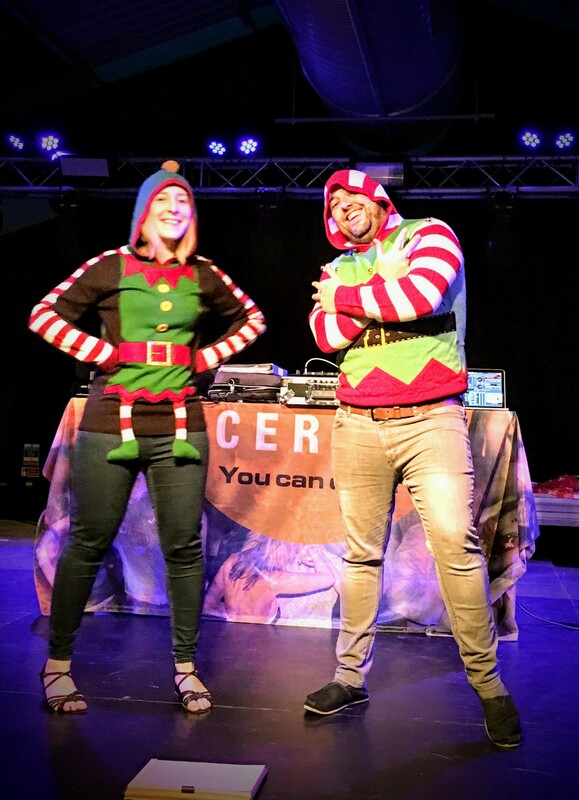 There's one thing that us Cerocers like to do more than anything else...and that's dress up and have a party! 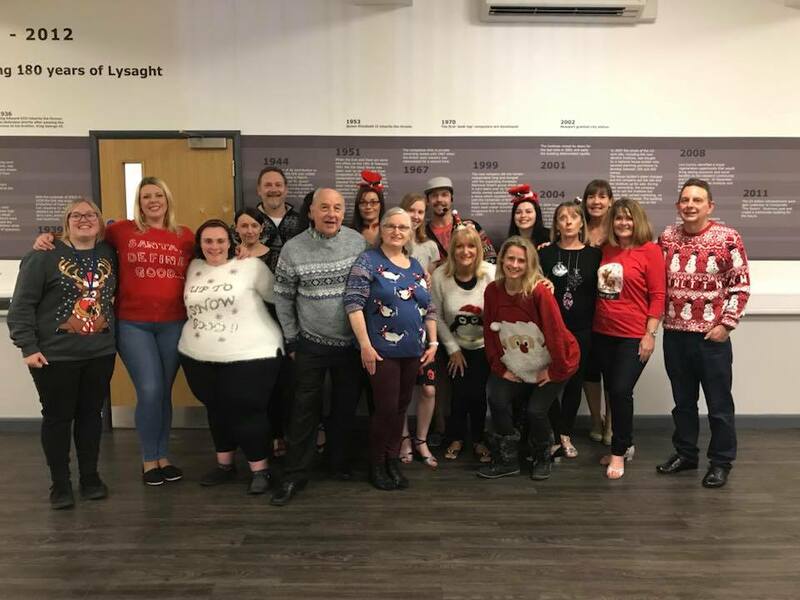 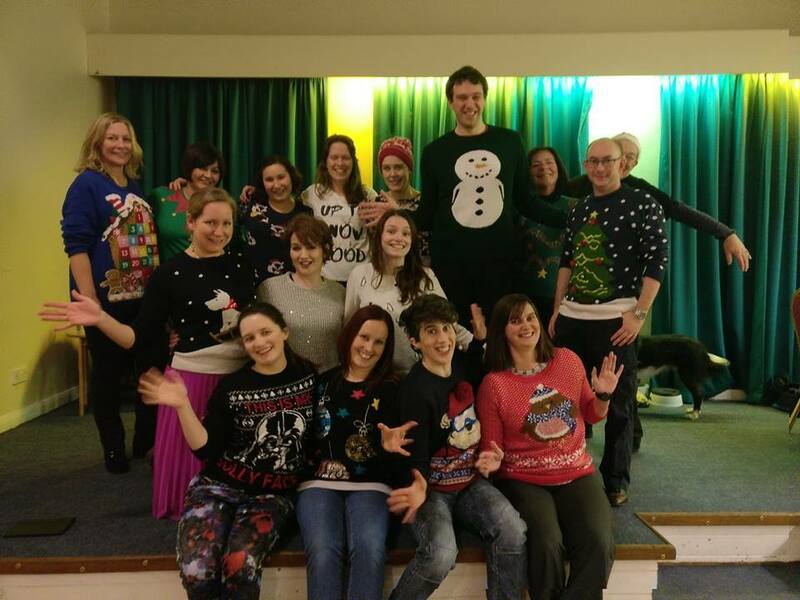 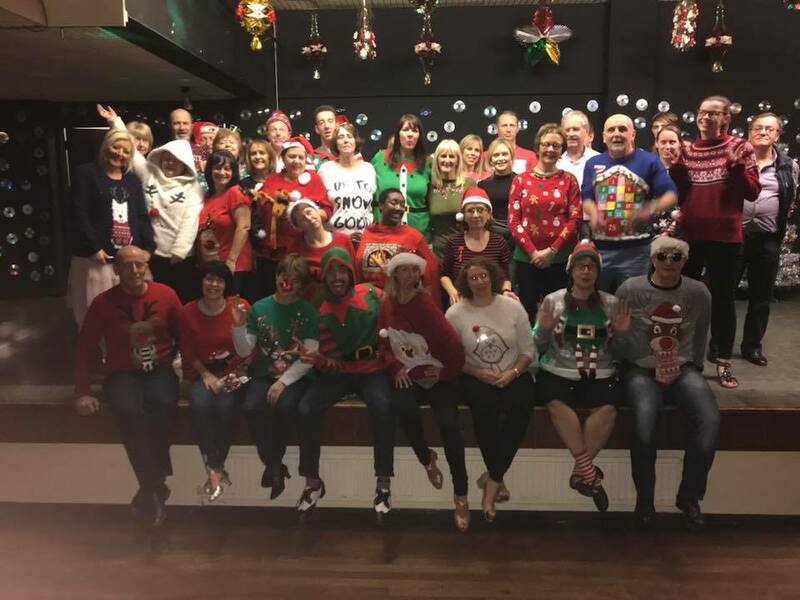 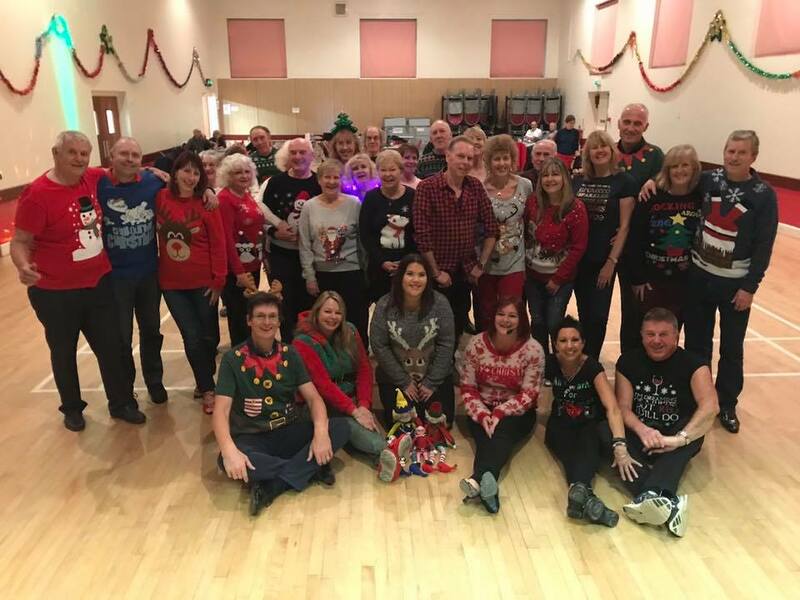 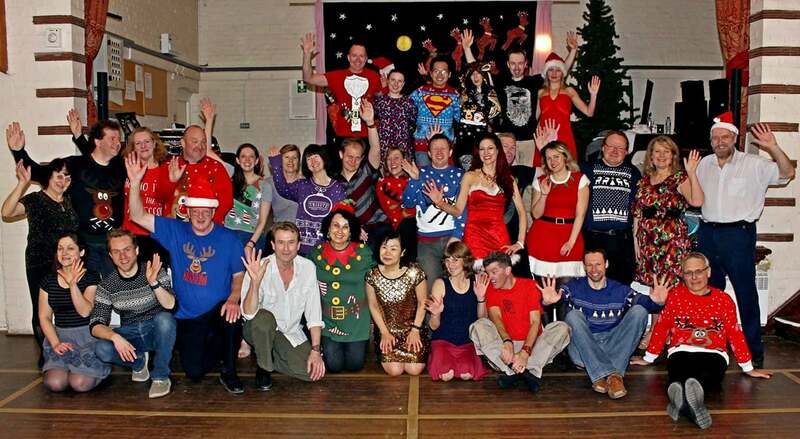 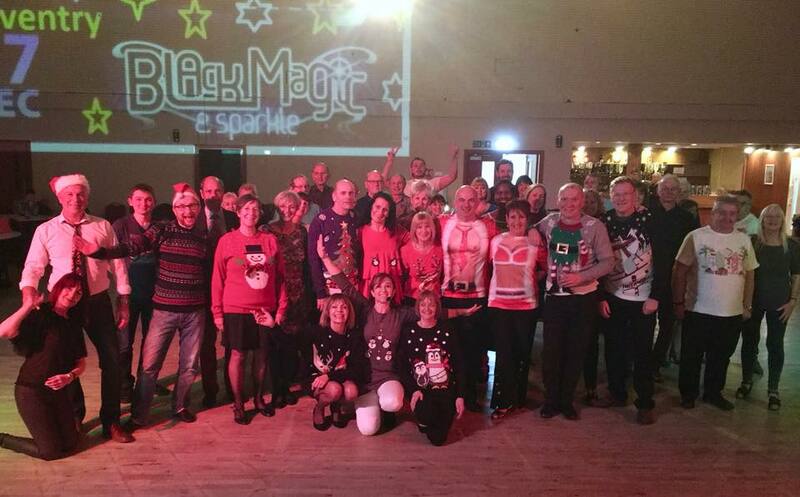 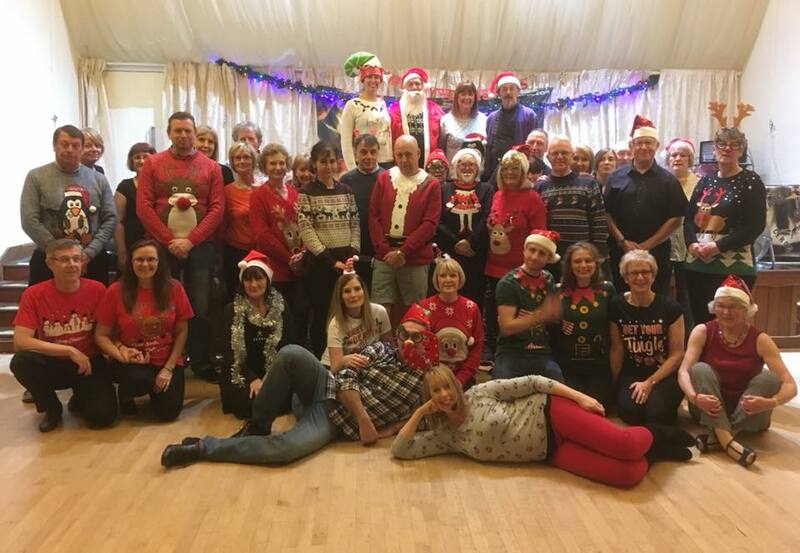 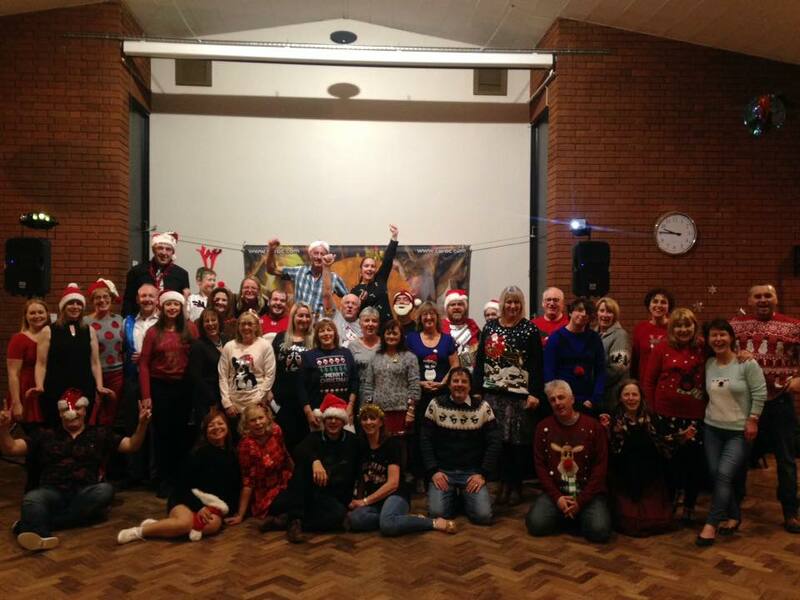 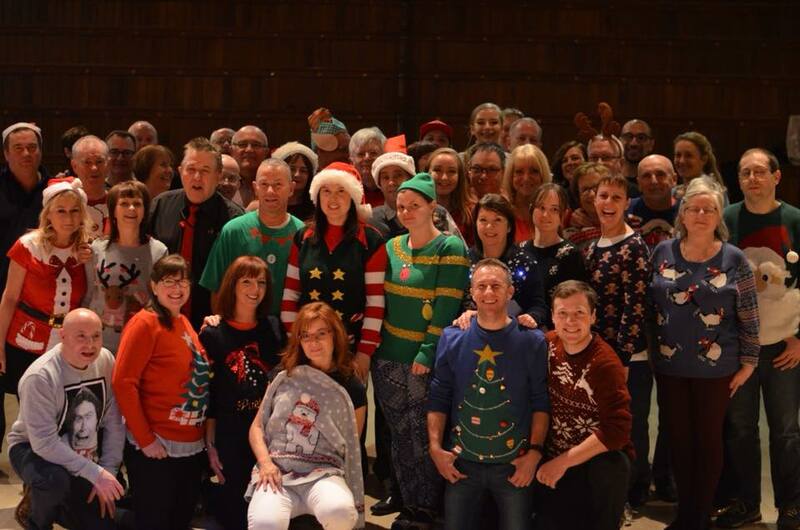 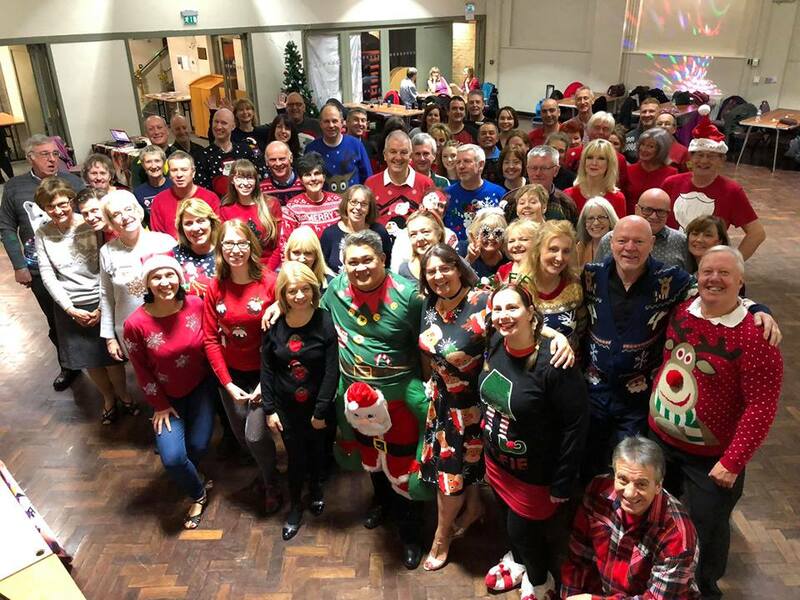 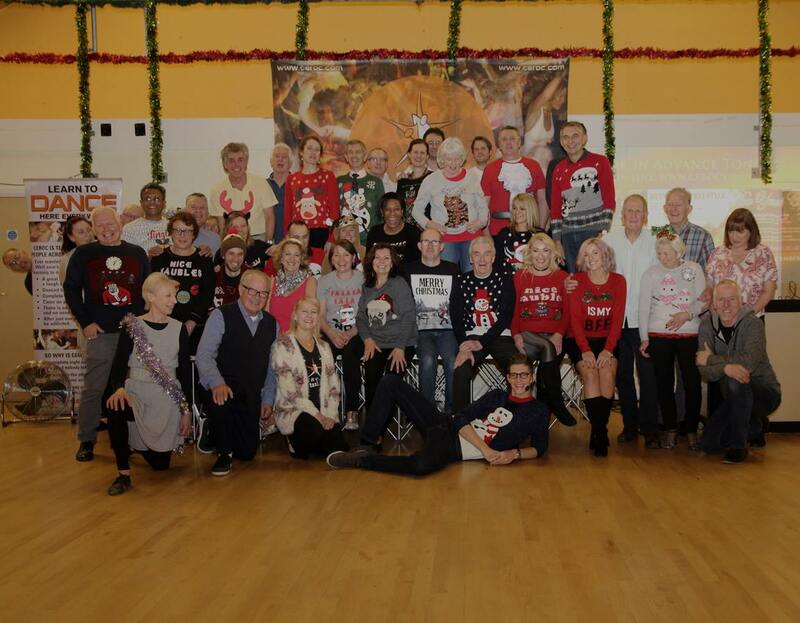 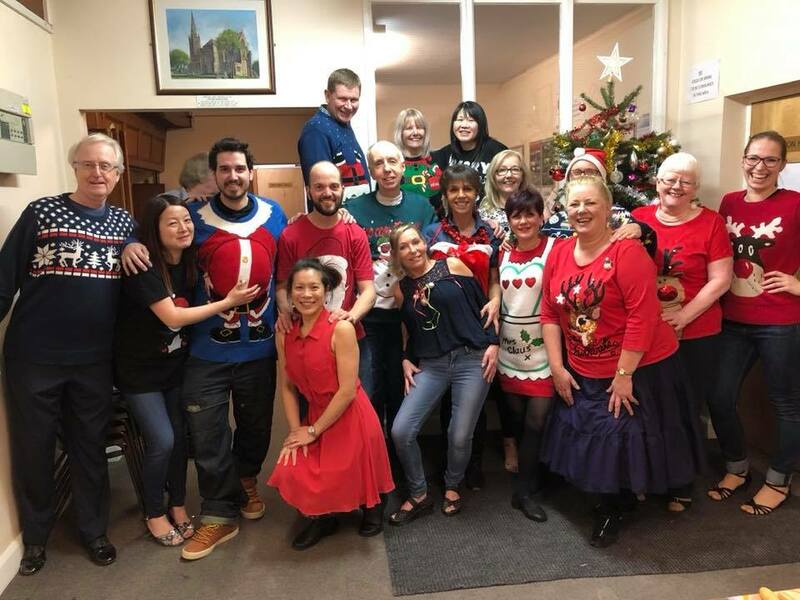 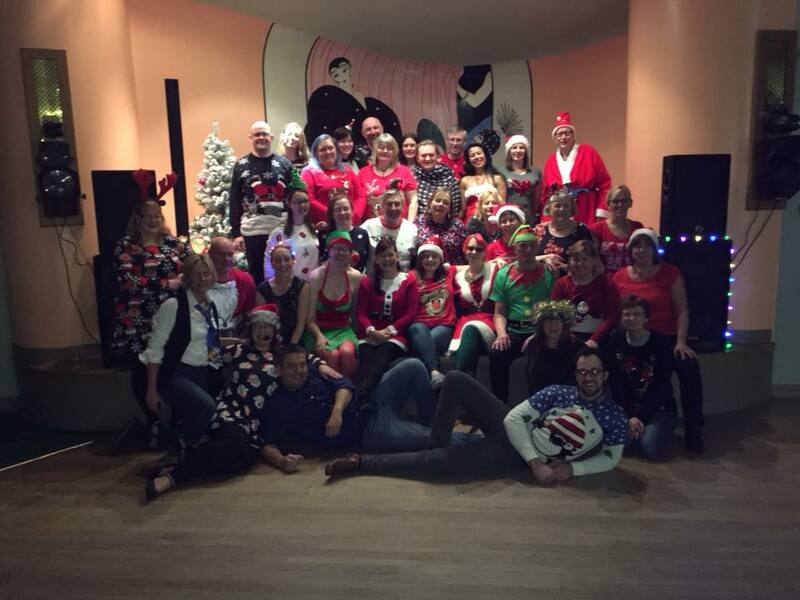 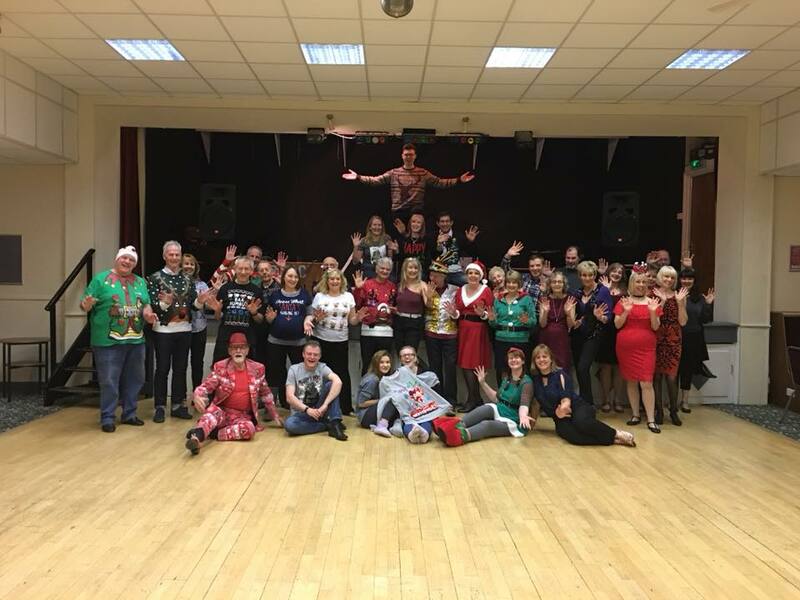 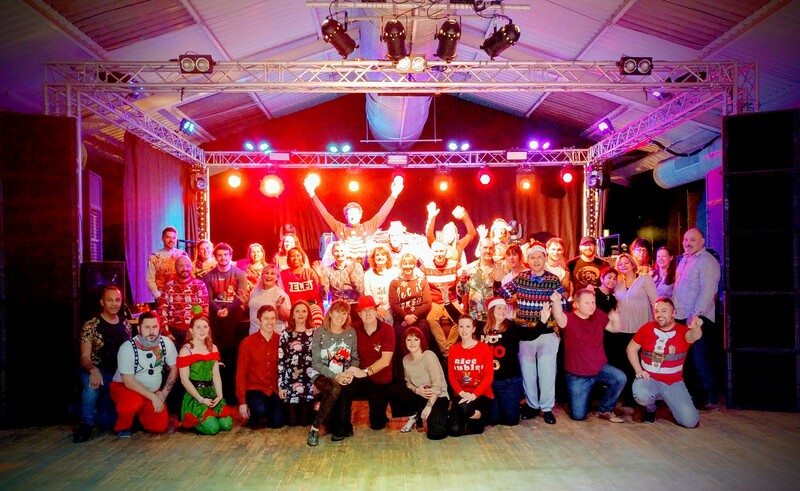 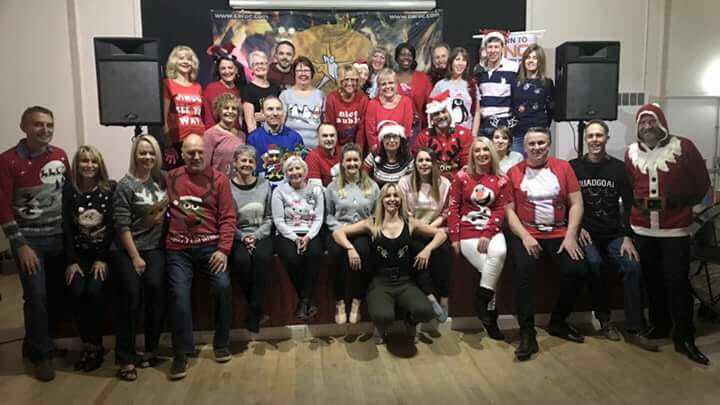 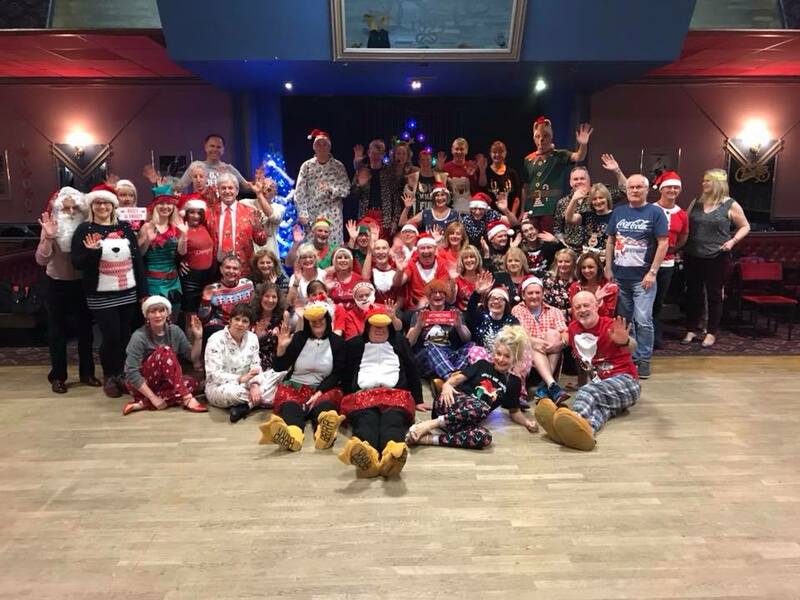 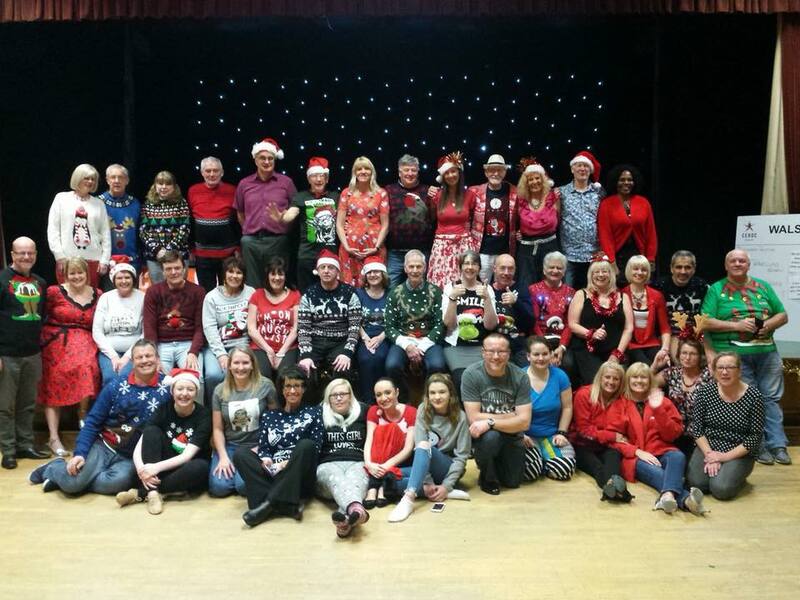 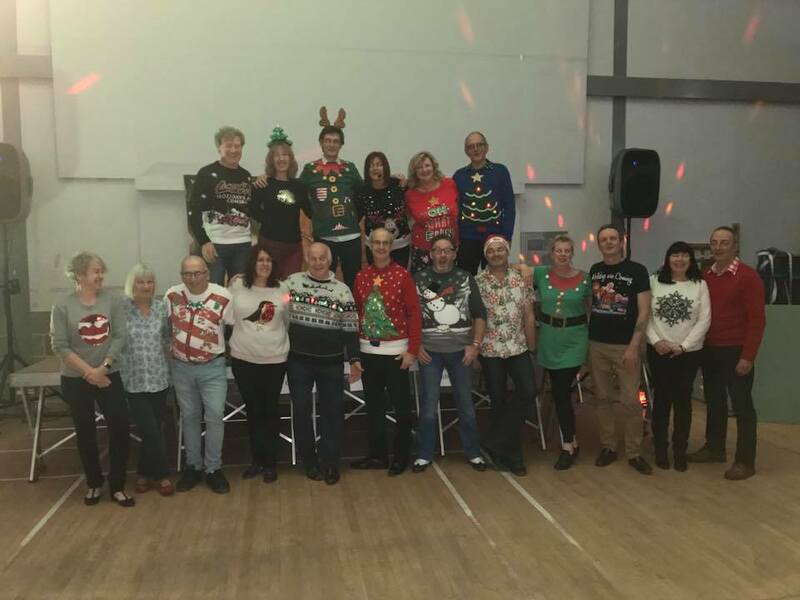 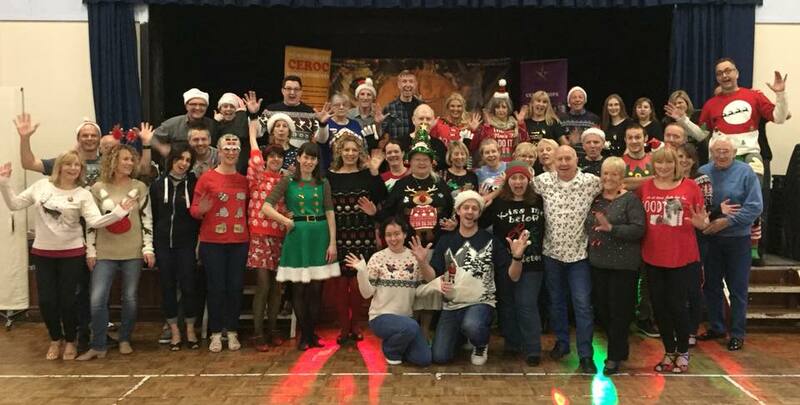 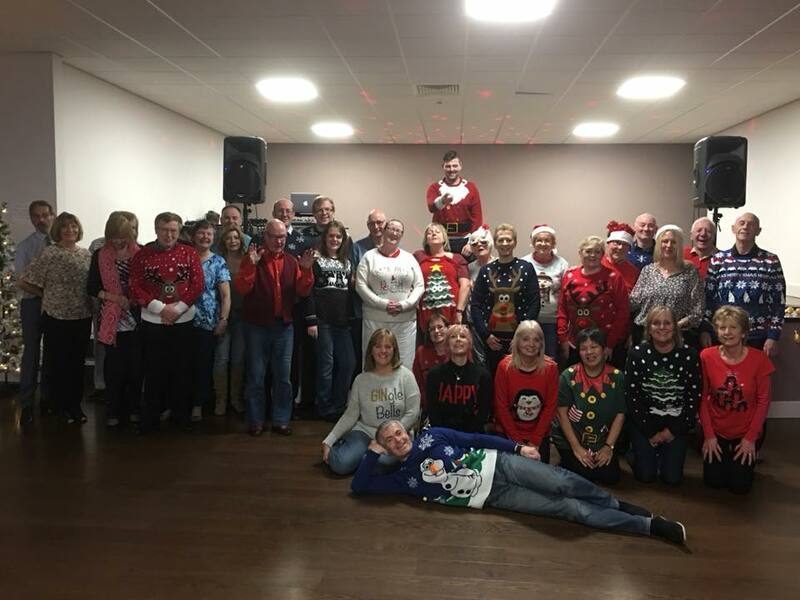 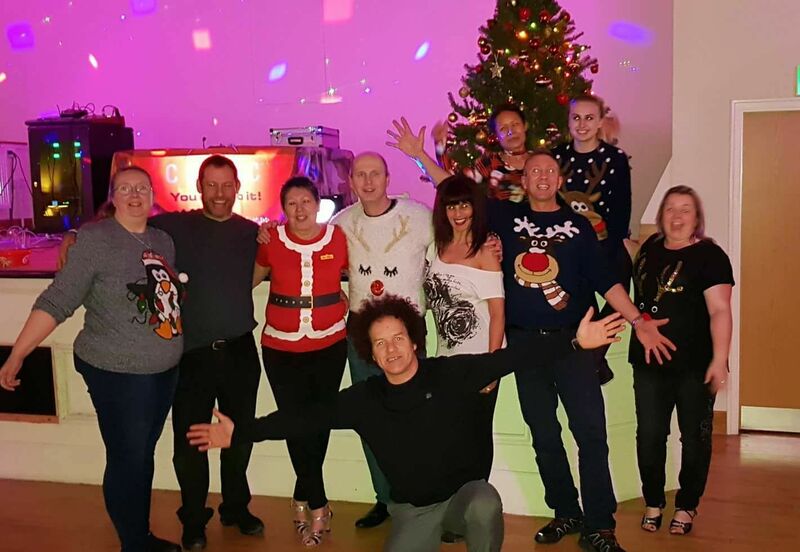 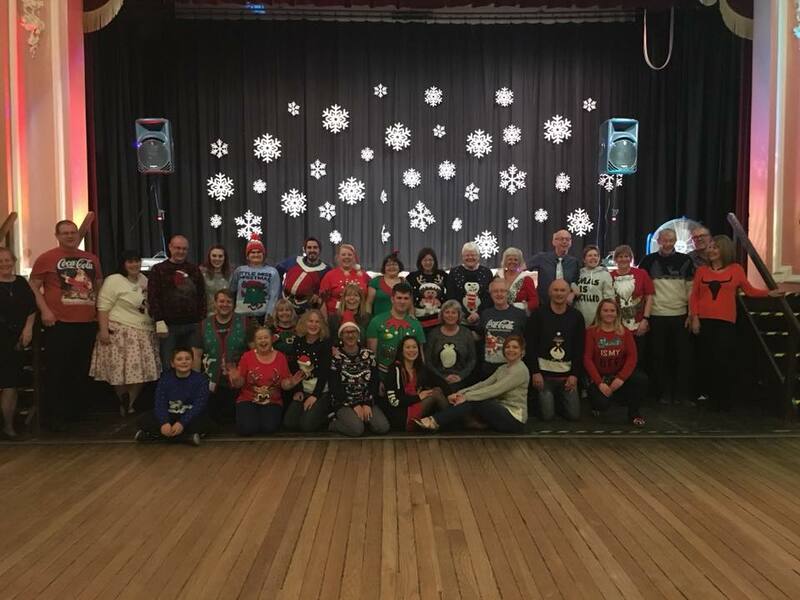 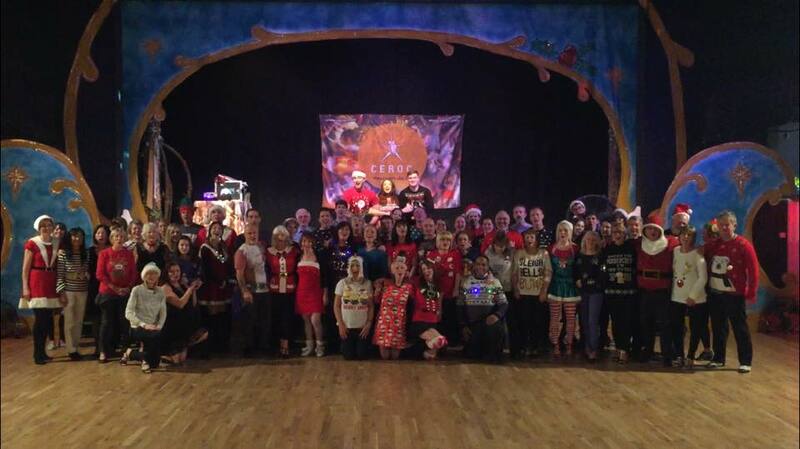 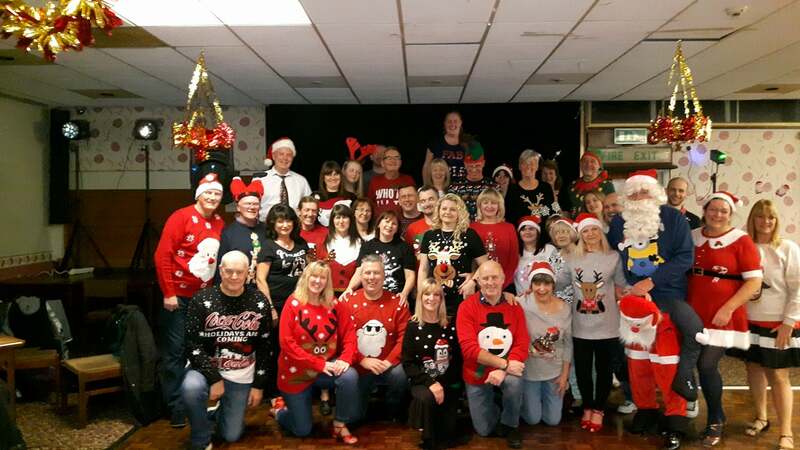 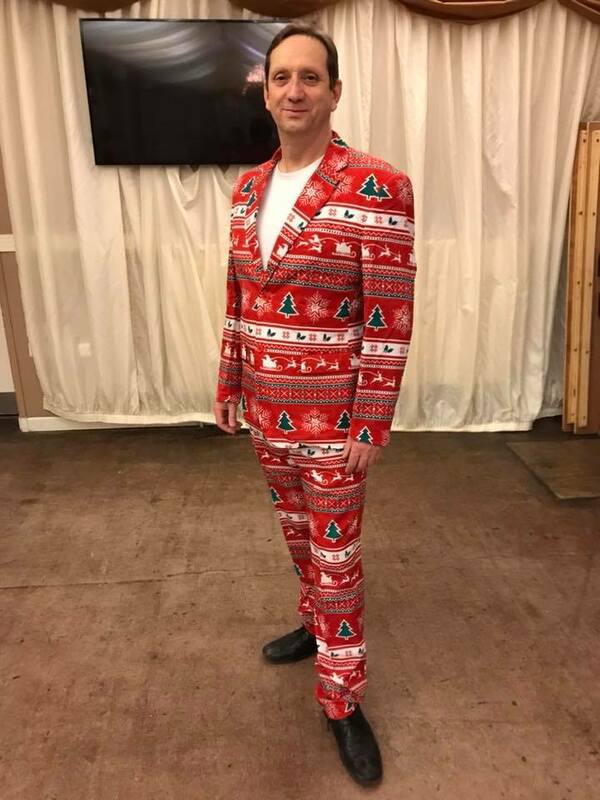 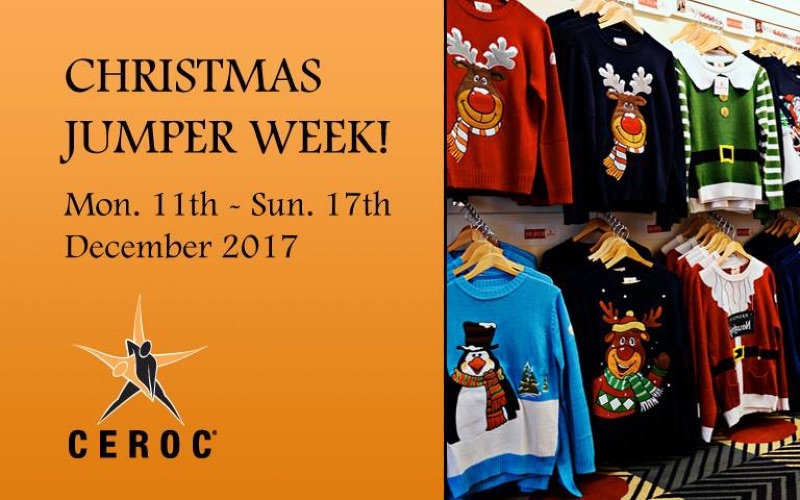 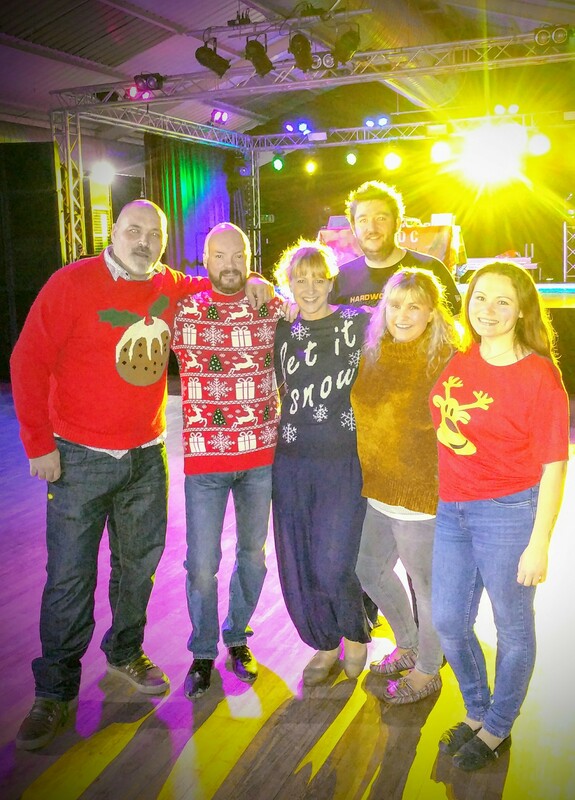 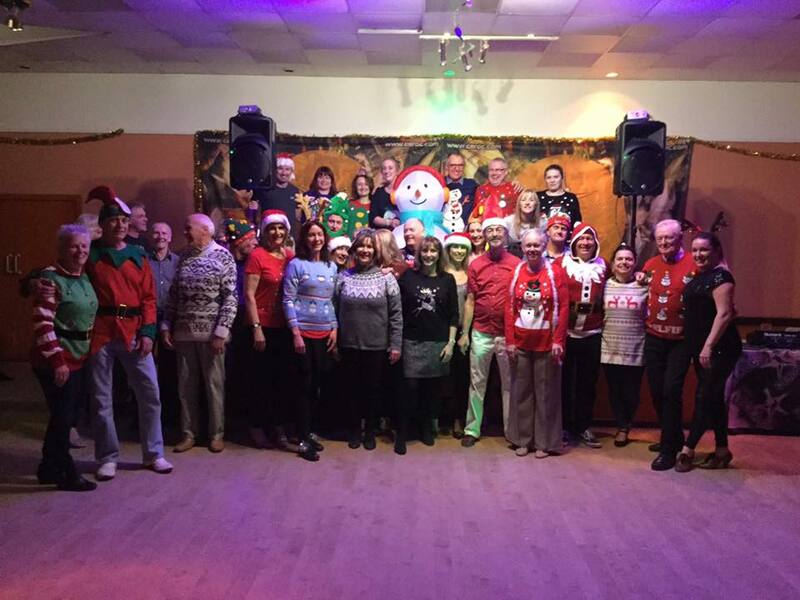 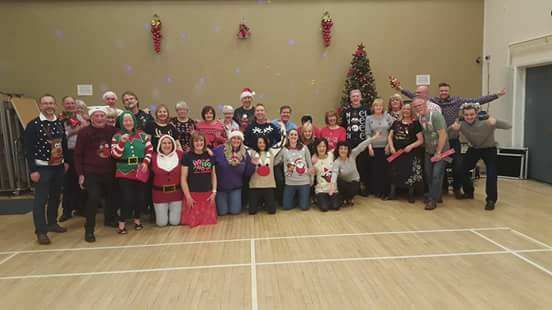 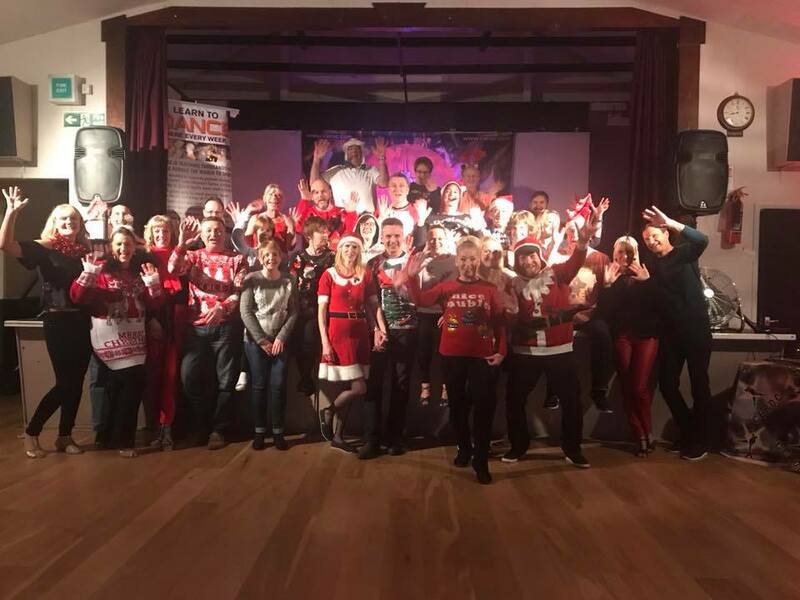 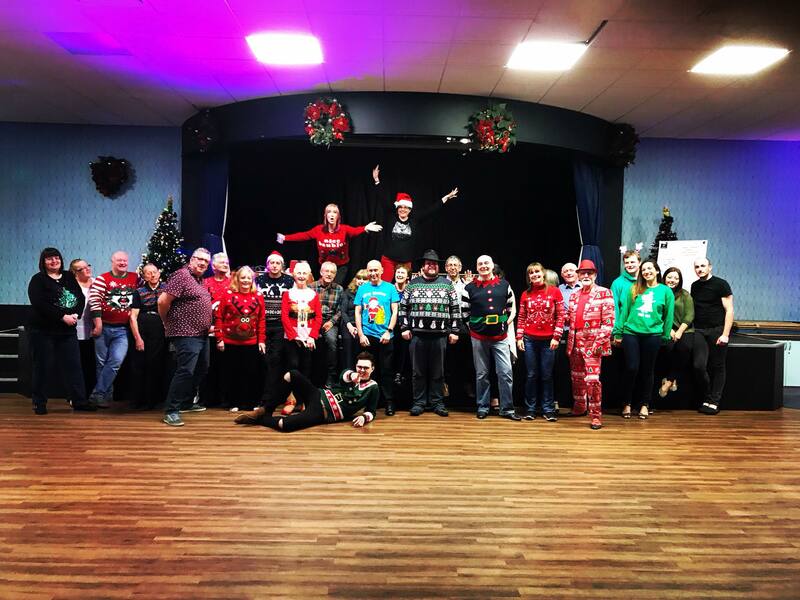 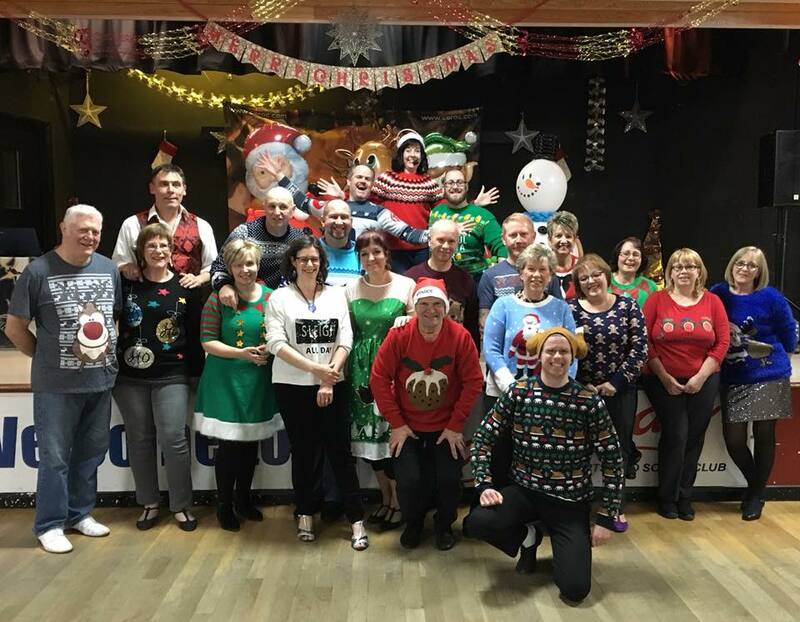 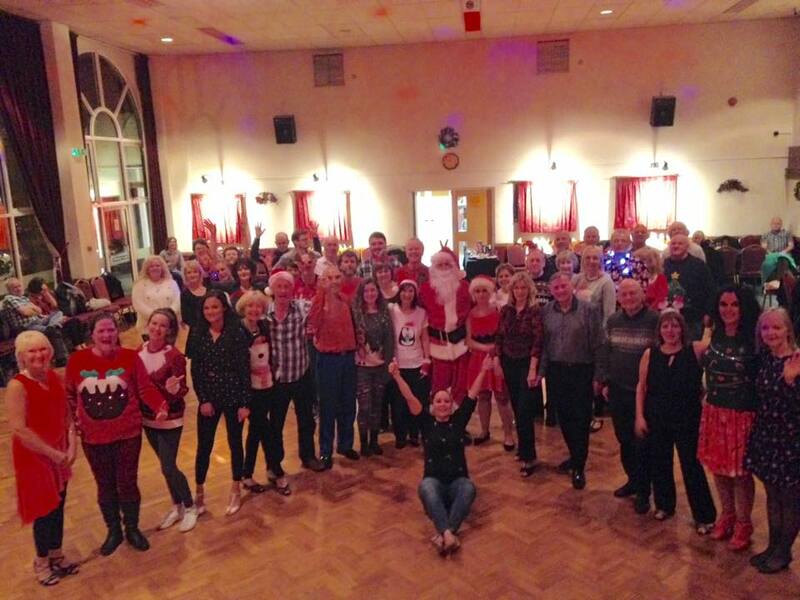 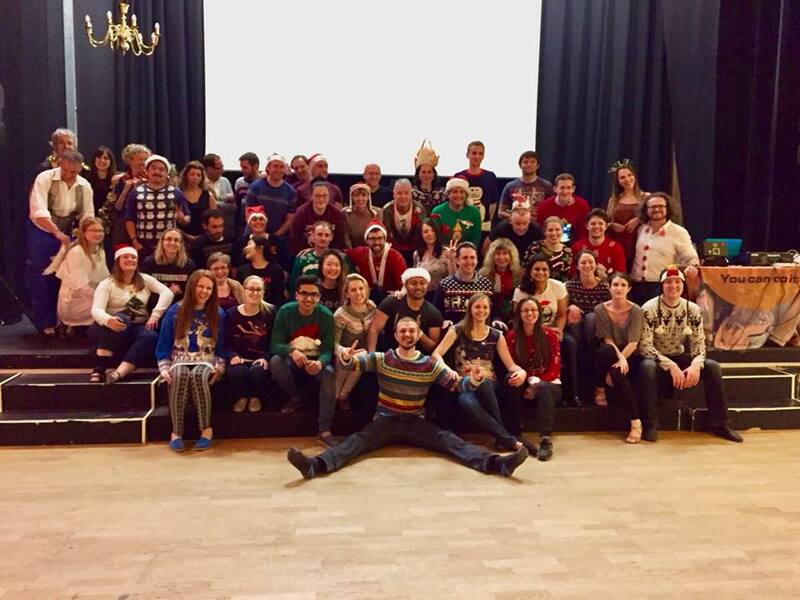 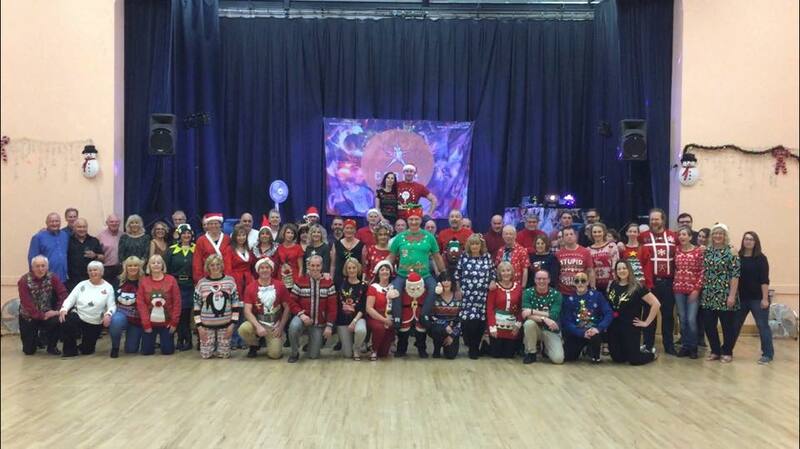 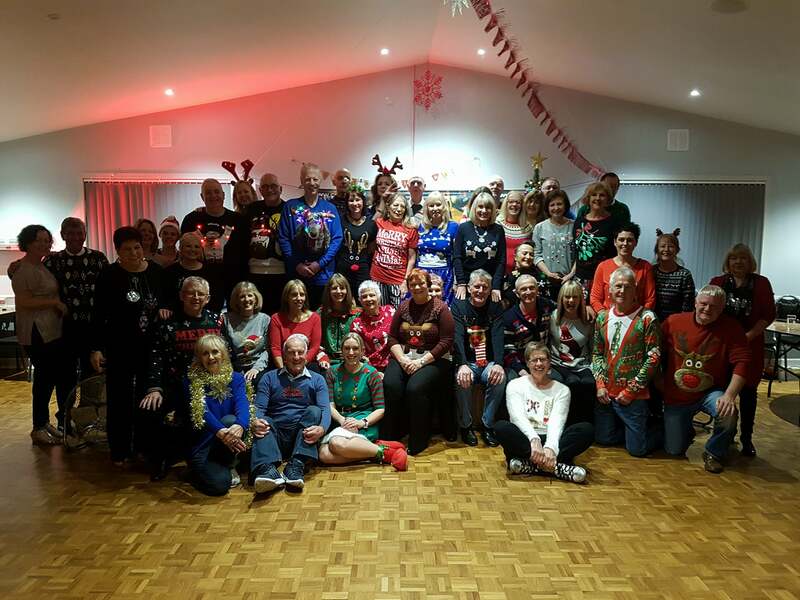 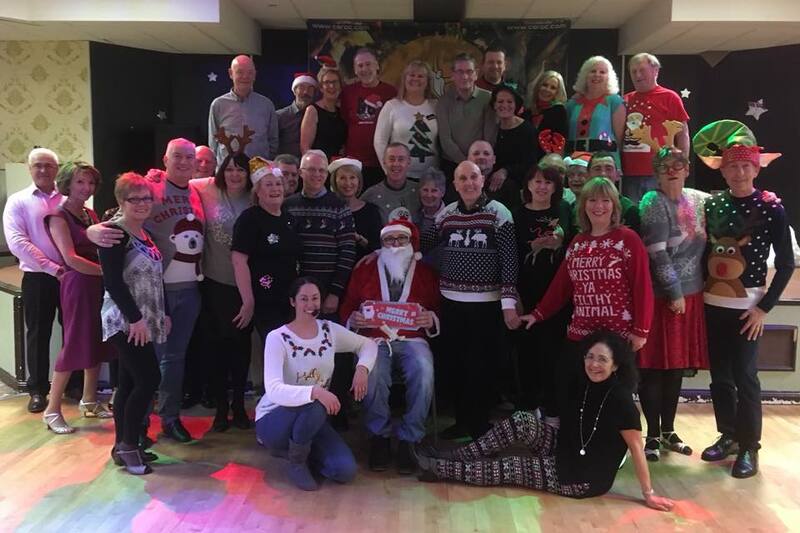 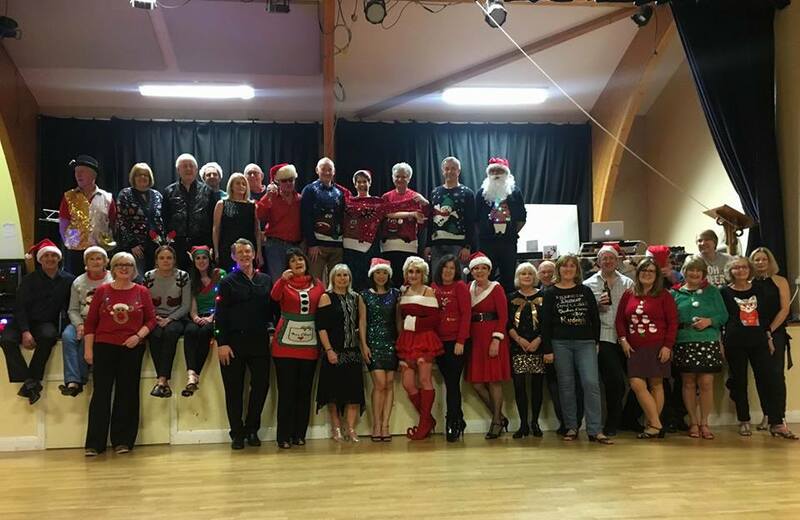 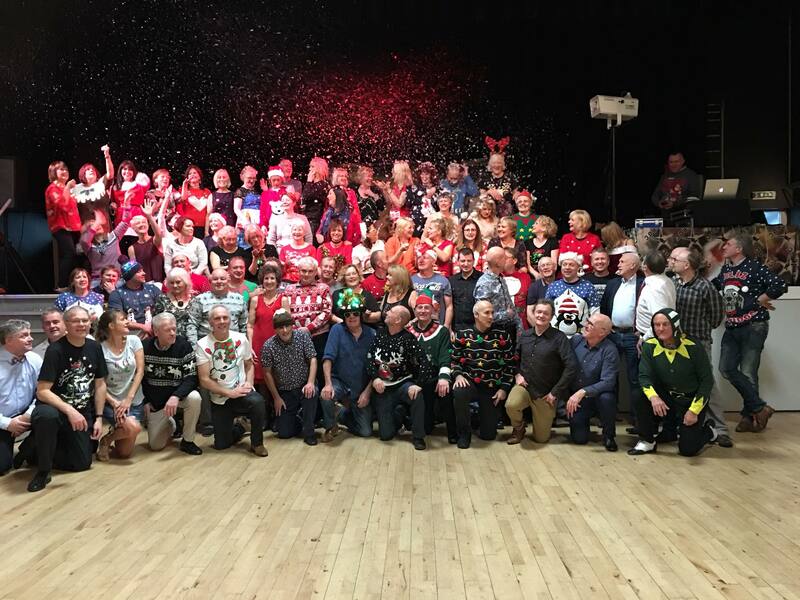 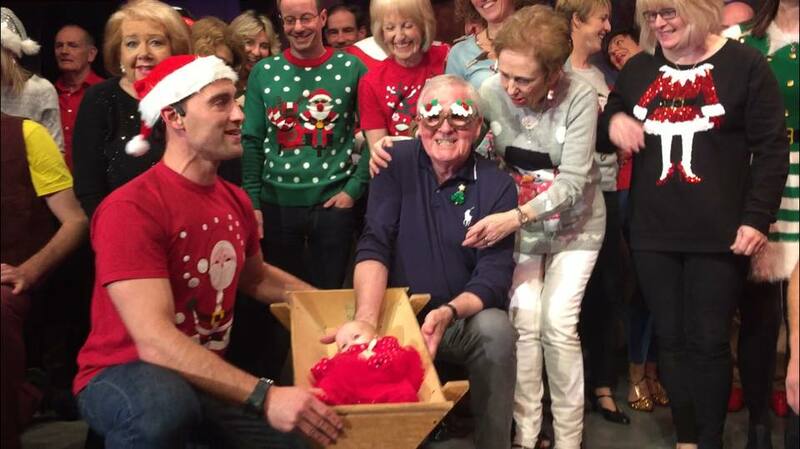 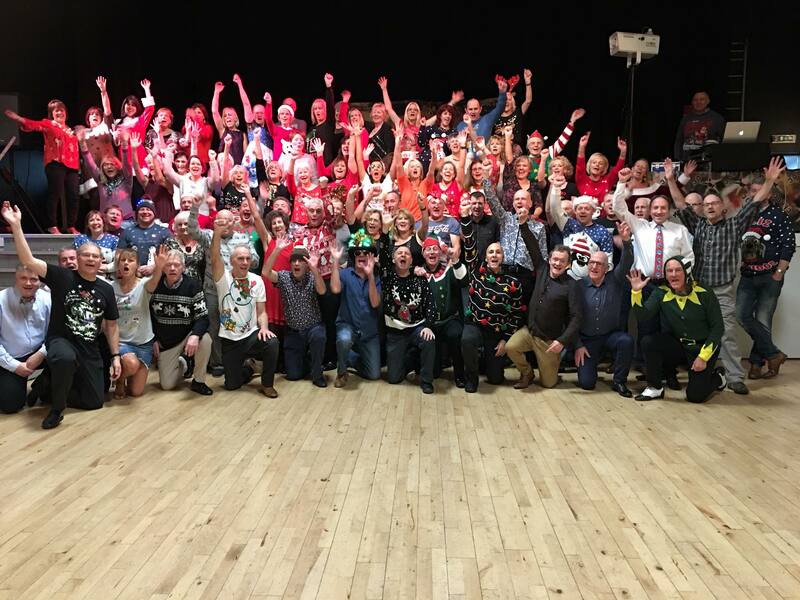 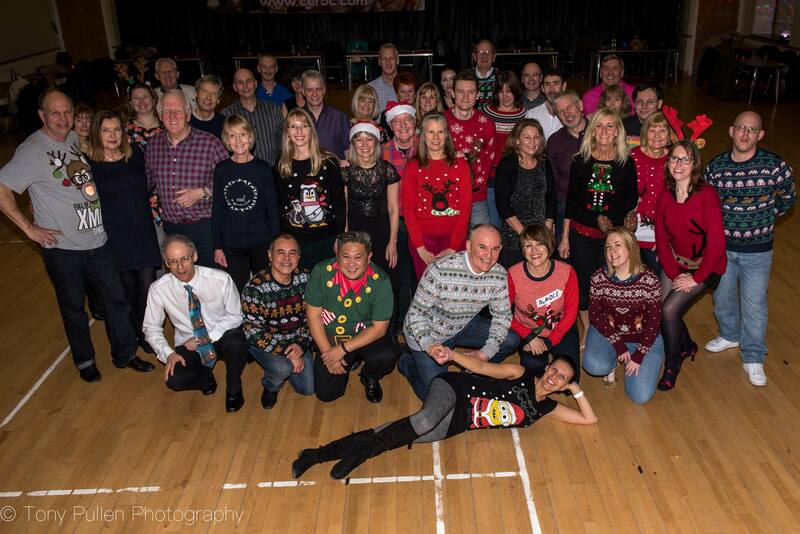 This year, the Big Christmas Jumper Challenge was set by Paul Brooks in Ceroc Nights, and the whole country responded! 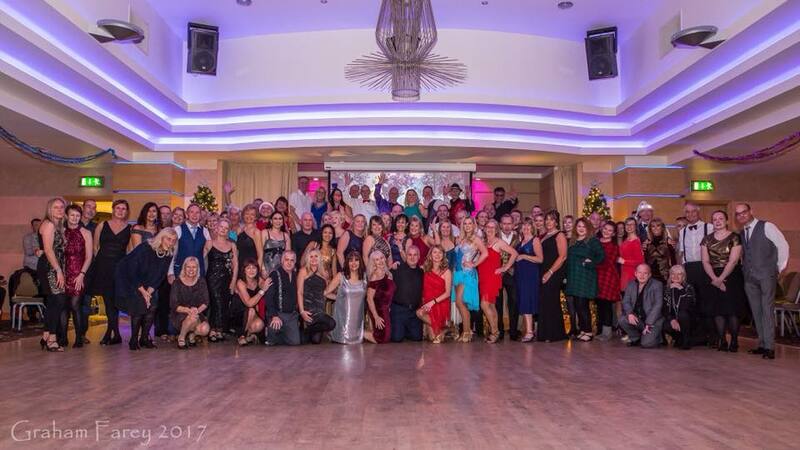 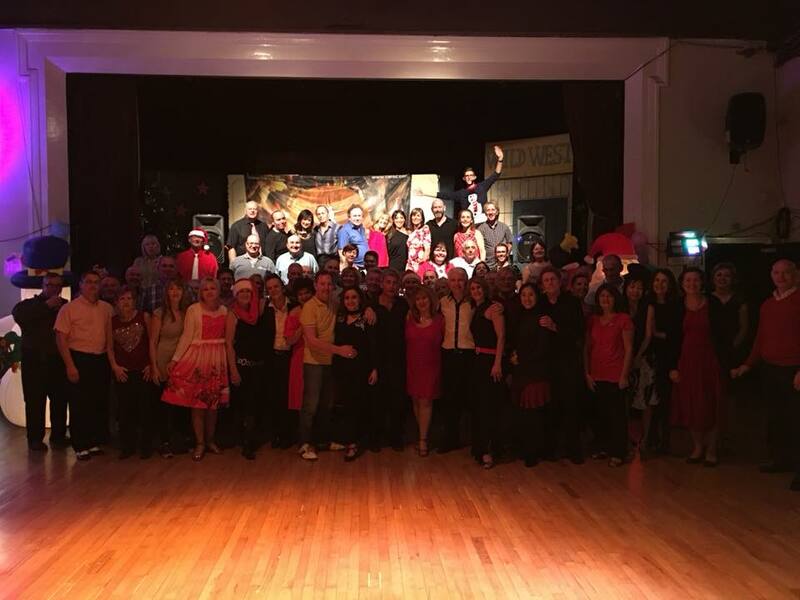 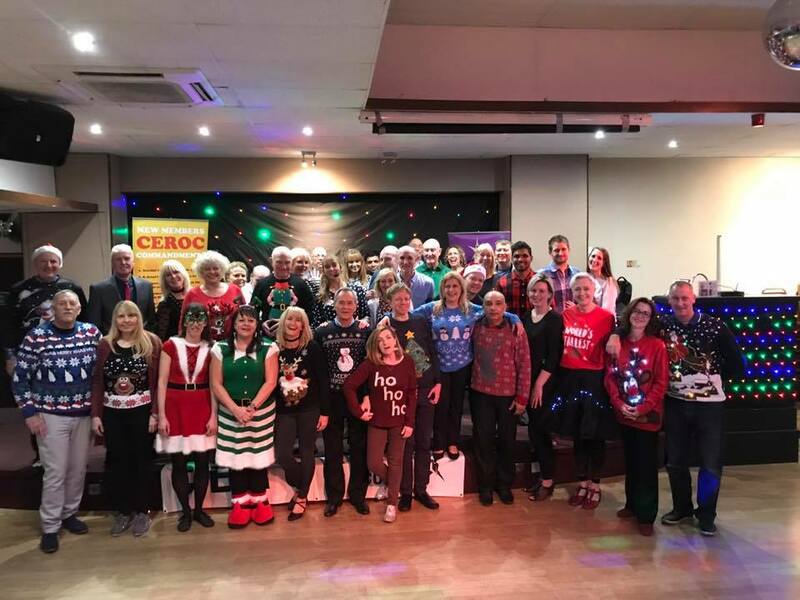 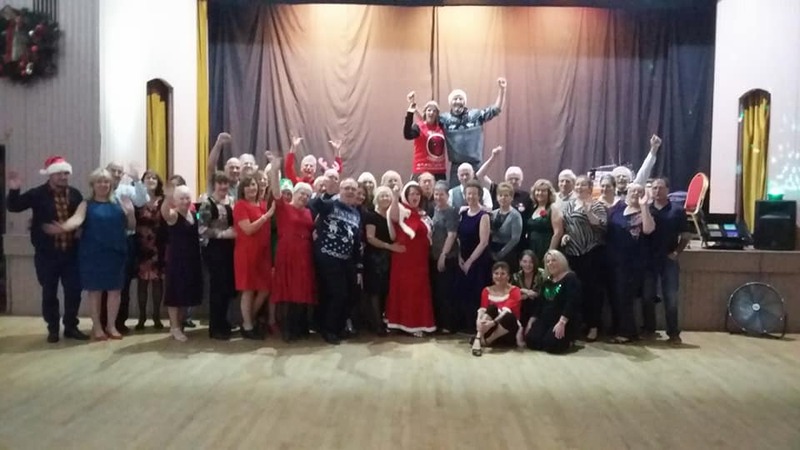 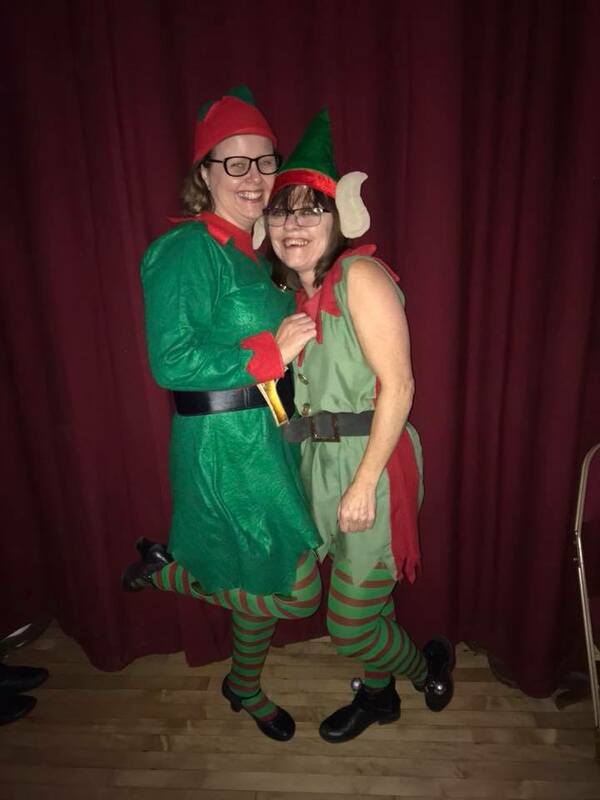 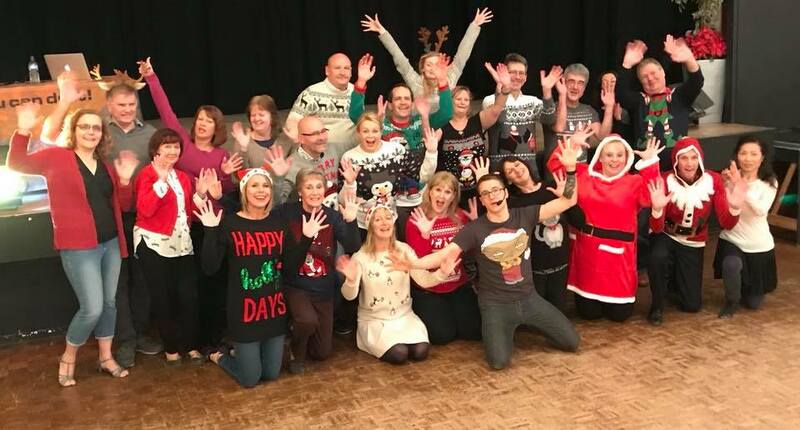 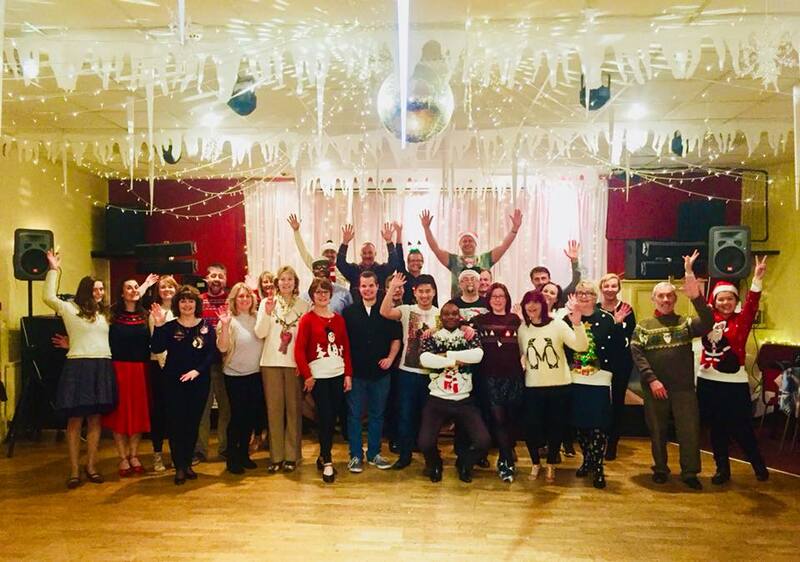 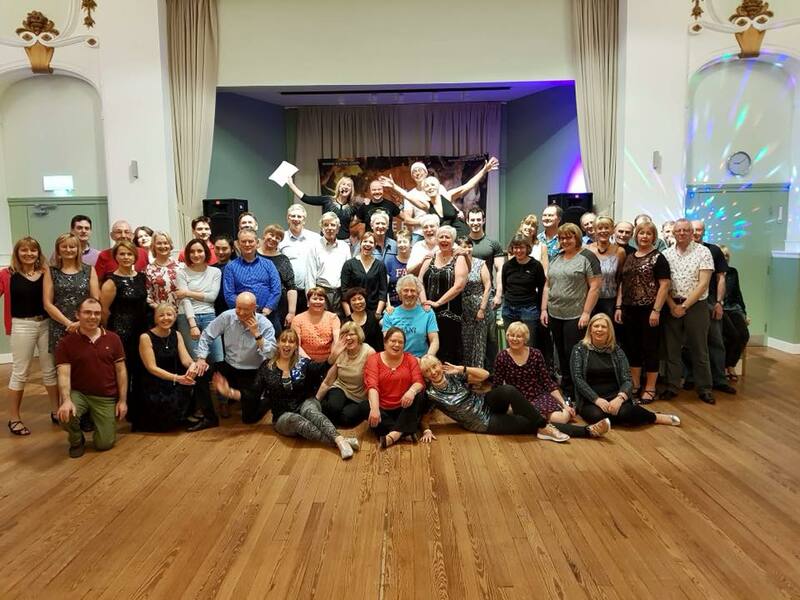 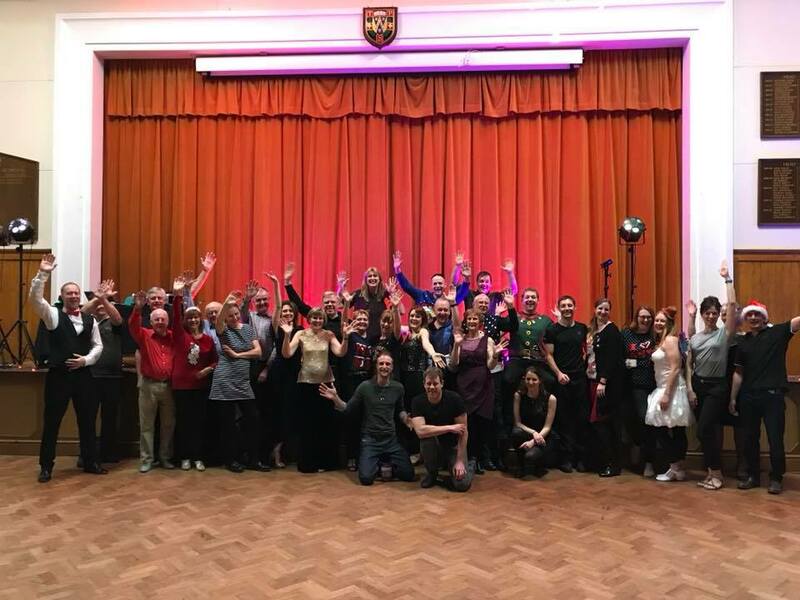 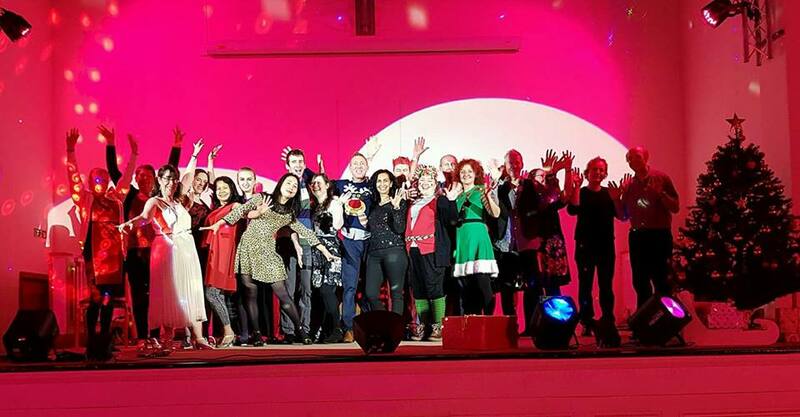 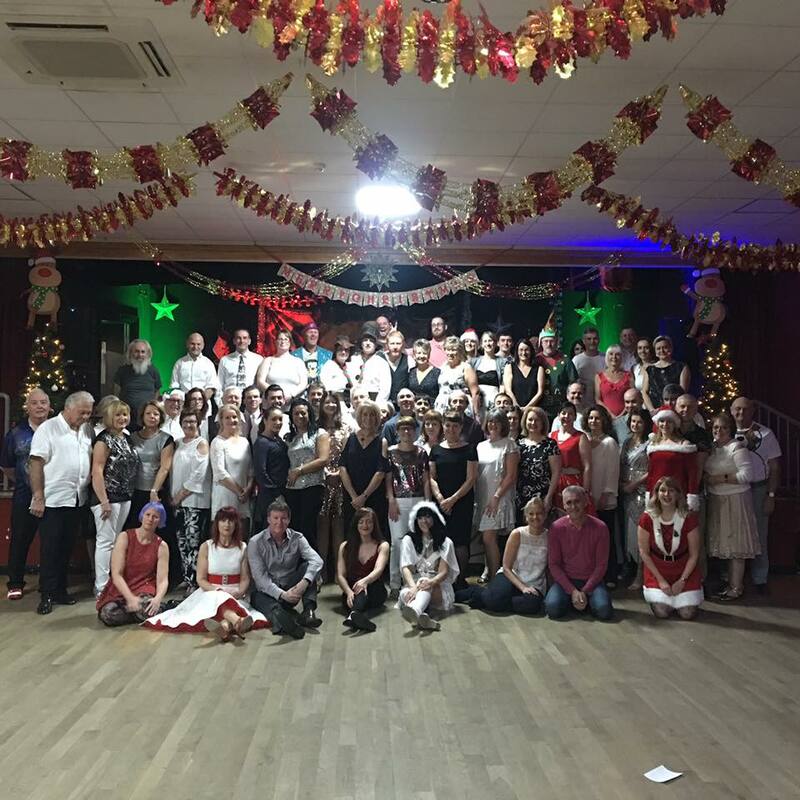 With massive thanks to everyone who participated from Ceroc classes in Pimlico, Basildon, Cadbury Club Birmingham, Derby, Essex, Romford, Newcastle, Kessingland, York, Tadcaster, Exeter, Cardiff, Cambridge, Devon, Suffolk, Stafford, Peterborough, Aberdeen, Shrewsbury, Kent, Northampton, Caterbury, Higham Ferrers, Great Portland Street, Swansea, Colchester, Newport, Peterborough, Bramford, Southampton, Plymouth, Bristol, Thornbury, Walsall, Worcester, Faversham, Byfleet, Finchley, Shifnal, Edinburgh, Mytchett, Isle Of Man, Chippenham, Stockton-On-Tees, Stoke, Manchester, Cornwall, Worplesdon, Lickey End, Eccles, South Birmingham, Leicester, Dundee, Horsham, Worcester, Cookley and even a Joyeux Noel from our continental cousins in Ceroc Marseille! 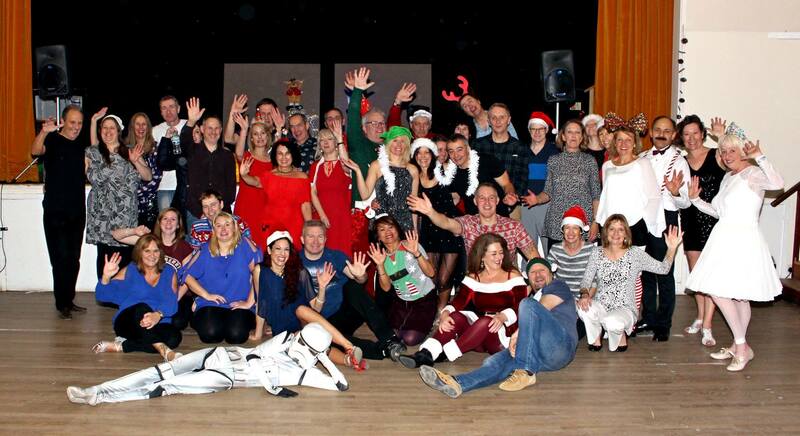 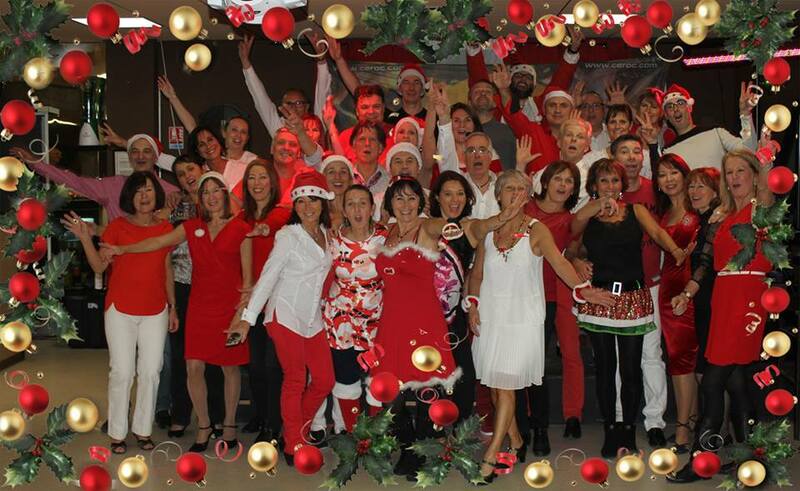 Merry Christmas to all our awesome dancers. 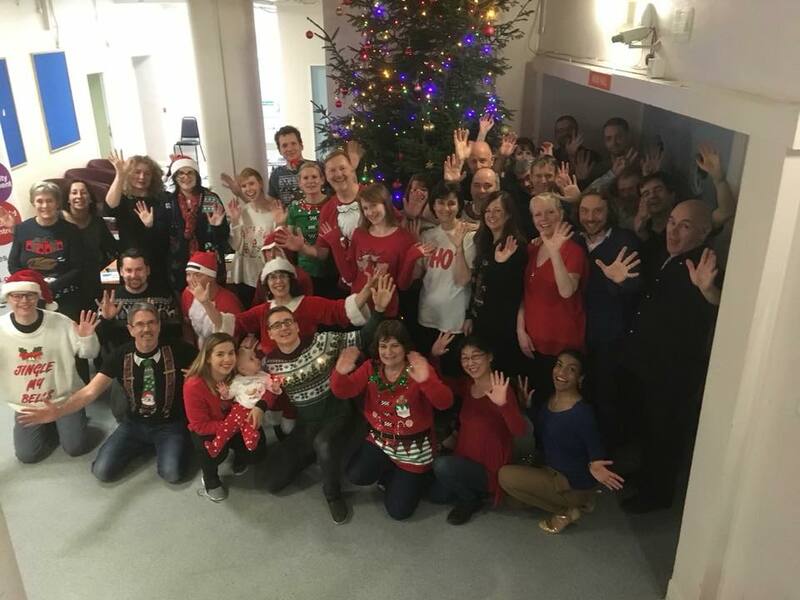 We hope you have a fantastic break and we can't wait to see you in 2018. 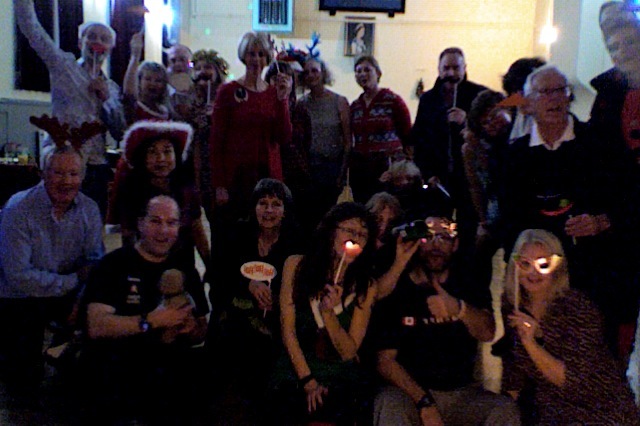 Eat as much as you want...we know you'll dance it off in the new year!